SAN BERNARDINO, Calif. – Weeks after two San Bernardino County sheriff’s deputies went viral for luring a wayward pig back to its Highland home with the help of Doritos, they created a video of their own to thank the snack company for its donation of chips to the department, reported Daily Bulletin. 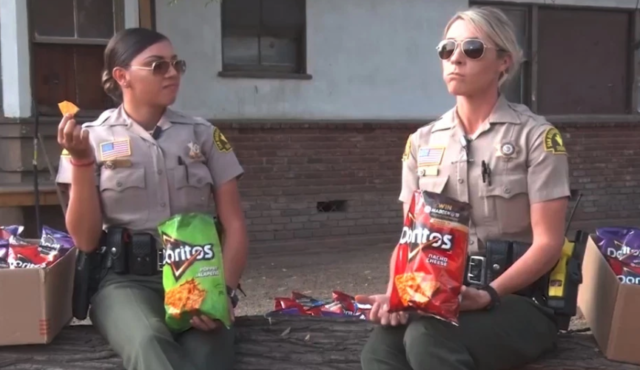 “So is this your first time going viral?” Deputy Ashleigh Berg asks Deputy Shelly Ponce in the video as the two enjoy their new favorite snack, Doritos. 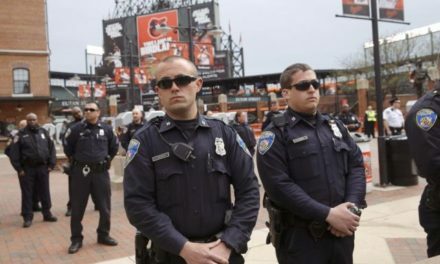 The pair of deputies are surrounded by boxes of the snacks sent to the department by Doritos for corralling the giant hog in “one of the boldest, most clever ways possible,” the company said in a statement. Thanks for the snacks @Doritos! On Oct. 14, Ponce and Berg used more than a dozen Doritos that Ponce had in her lunch bag to lure Smalls back home. 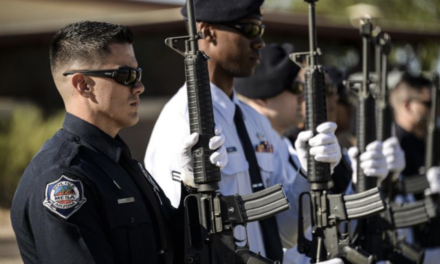 The deputies knew exactly where to go, because SBSD had received calls about Smalls in the past. Photos of the deputies and the runaway hog went viral on social media. As a result, this publicity led to the Doritos donation. The Sheriff’s Department’s post notes that Smalls and the deputies decided to share their snacks with the rest of the agency. How generous!